Fans of the Buffalo Sabres are angry, and rightfully so. The team hasn’t made the playoffs since 2011, and the blue and gold faithful have been forced to endure another race against the Arizona Coyotes to the league basement. Prolonged exposure to the Sabres’ perpetual futility has spectators turning on certain players, particularly on top defenseman, Rasmus Ristolainen. Nobody can blame their harsh, wide-ranging critiques of the roster but the 23-year-old blueliner is an interesting player to single out. Over the past three seasons, he has been relied upon to anchor a defensive corps that has fielded a revolving door of fringe NHL players. 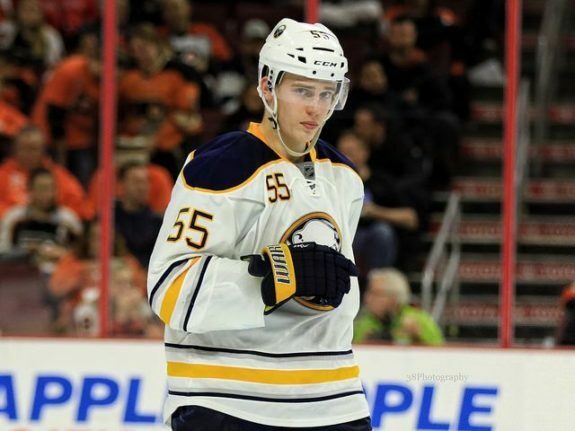 Regardless of his recent struggles, Ristolainen isn’t the problem. Over the course of the past decade, the Sabres have been notorious for rushing young talent to the NHL level. Ristolainen is another player in a long list of first-round draft picks who weren’t given enough time in the AHL. In fact, his longevity on the team’s top pairing should be commended. Soon after former general manager, Darcy Regier selected Ristolainen eighth-overall in 2013, he was called into action on a Sabres defense devoid of talent. The then 19-year-old spent the first 19 games of the 2013-14 season in Buffalo. 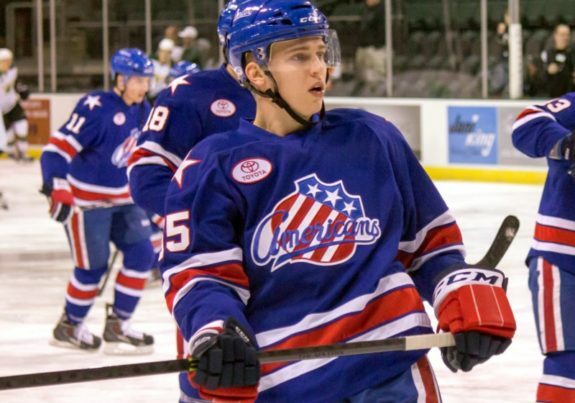 Following Regier’s mid-season firing, Ristolainen was sent down to Rochester to continue his development but that didn’t last long. After just 34 games with the Amerks, he was recalled to Buffalo for the final 14 games of the season. He never went back to the AHL. A teenager who had never played a game in North America prior to being drafted was an NHL regular after less than half a season in the minors. He and fellow 2013 first round pick, Nikita Zadorov played on a “tank” team specifically designed to lose games in 2014-15. Unlike Ristolainen, Zadorov still hasn’t fully recovered from his expedited development, though he has shown flashes of improvement with the Colorado Avalanche this season. The shameful misuse of an exciting young talent hasn’t stopped since. Ristolainen ranks third in the league in ice time. In fact, he’s held a spot in the top 10 in that category since the 2015-16 season, his second full year in the NHL. 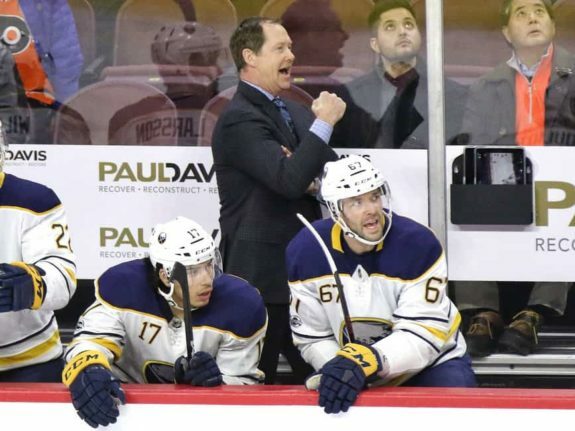 Fans speculated that rookie head coach, Phil Housley would reduce his ice time after Dan Bylsma drove him into the pavement for two straight seasons. Unfortunately, Housley hasn’t addressed the issue. In fact, Ristolainen has averaged 26:31 per game this season, a career-high. Only elite defenders Ryan Suter and Drew Doughty rank ahead of him. Therein lies the problem; he is very good, but not elite. His ice time needs to be reduced by 2-3 minutes per game throughout an entire season for him to be at his best. While his production on offense has actually improved, registering 11 points in his last 13 games, the wear and tear of shutdown minutes have diminished his defensive ability. He is routinely torched by forwards entering the Sabres’ zone. Ristolainen’s critics are always quick to mention his less than desirable Corsi numbers. Last season, he ranked second-last on the roster in relative all-situation Corsi percentage at -3.2 percent. What they fail to take into account is his defensive zone starts. During the 2016-17 season, he started in his own end on 54.9 percent of face-offs, second only to Josh Gorges. Though his advanced statistics weren’t as bad as they seemed last season, he did lead the team in giveaways by a wide margin with 59 on the year. This year his Corsi rating has drastically improved. Despite the fact that the Sabres rank lower in the standings, his relative all-situation Corsi percentage has made a quantum leap at 3.1 percent through 57 games, a 6.3 percent improvement. This jump can be attributed in part to Housely’s minor adjustment to his defensive zone starts, which are at 52.8 percent on the year. However, Ristolainen is still heavily utilized in all situations. Not only does he consistently fill a slot on the top defensive pairing, he also serves on the first power-play and penalty-kill units. From a traditional statistical standpoint, he is on pace to record 47 points this season, which would be a career-high if it holds up. Despite all of his improvements on paper, Ristolainen still struggles in his own end at times. Only so much of that can be attributed to fatigue. He is on pace for 52 giveaways, which is a slight improvement from last season, but he still needs to make better decisions with the puck and improve his positioning in the defensive zone. For three straight seasons, Ristolainen has been the only consistent point-producing defenseman on the roster. There is absolutely no excuse for that and it’s one of the main reasons the team is still in NHL basement even after obtaining franchise cornerstone, Jack Eichel. 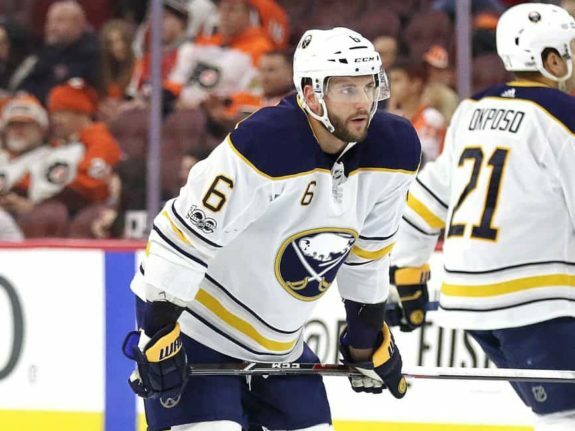 Following the infamous “tank” season, the Sabres have failed to add a legitimate top-four defenseman aside from Marco Scandella. Since acquiring Scandella from the Minnesota Wild via trade this offseason, he has spent a good chunk of time as Ristolainen’s defensive partner. While he too has struggled in his own end, Scandella’s arrival has played an important role in Ristolainen’s improvement this year. In 2016-17, Ristolainen was saddled with the unfortunate task of covering up Jake McCabe’s shortcomings in the defensive zone. Scandella has helped in that area, allowing his partner to carry the puck more freely to try and generate offense from the back end. McCabe isn’t a “bad” defenseman, however, he has no business being on the top pairing. Ristolainen needs a partner who can make up for his deficiencies, not exacerbate them. Going as far back as 2015-16, Ristolainen spent most of that year with veteran Gorges. Yes, the same Josh Gorges who has struggled to stay in the Sabres’ top-six this season; a failed venture, to say the least. Buffalo has a few options moving forward. With Brendan Guhle set to join the team on a full-time basis next season, Ristolainen will finally have another player on the roster who is capable of playing on the right side during critical situations. That alone will be a load off, but the organization must go one step further in fixing their defensive woes. The annual addition of fringe players like Matt Tennyson and Nathan Beaulieu needs to stop. For the first time in what seems like an eternity, the organization needs to pursue another legitimate top-pairing defenseman either via trade or the free agent market. They simply cannot continue to play Ristolainen alongside inferior talent. At a cap hit of $5.4 million per season over the next four years, the 23-year-old is very valuable. Ideally, he is best suited as a first to second pair tweener who can contribute on the top power-play unit. He isn’t a shutdown, all-purpose defenseman. At least not yet. If the coaching staff continues to insist on playing him so much, he will never be anything more than what he is now and Jason Botterill could look to trade him while his value is still high. Nobody wants to see Ristolainen leave town, but sooner or later, the Sabres’ misuse of their top defenseman will hurt his value and a trade may what’s best for both the team and player. 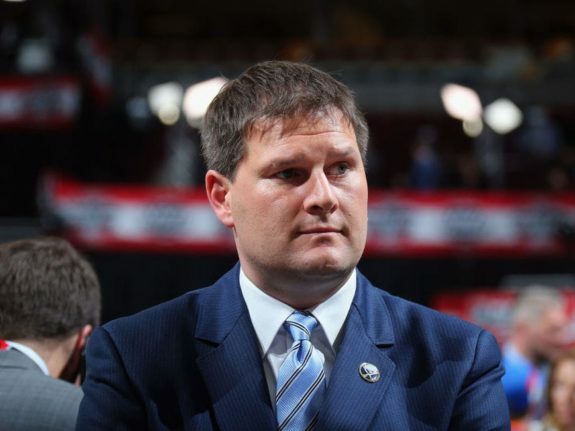 Botterill is a smart guy. He knows that he cannot open the 2018-19 season without adding reinforcements to the defensive corps. If he is able to shed some of the salary locked into the forward ranks and put it toward a defensive asset this summer, they can really watch Ristolainen flourish with a reduced workload. The key will be convincing Housley to take some of the pressure off of the Finnish workhorse. It’s something Botterill must insist upon. Otherwise, expect more of the same from a player who could have been, and still can, be so much more.